Congratulations to Clare Hendra who won the Wellington Women's Champion of Champion Singles on Sunday the 7th of April beating Pam Mulford of Plimmerton in the final 21 to 14. This gives Clare the double for the season having won in February the Wellington Women's Open Singles. Photos below show Clare and Pam and also Clare and Robbie Bird who won the Men's Champion of Champion Singles. Women: Christine Hewitt, Andy Gray and Sharon Ritchie. Men: Ruan Mienie, Jamie Rollo and Mark Parson. See the men's Interclub Promotion / Relegation team to play at Island Bay on Saturday 23rd of March by clicking here. Congratulations to Clare Hendra who have been selected in the Wellington squad for the National Intercentre Competition to be held in Auckland starting on Friday 22nd of March. Clare will be playing in the pairs with Dale Rayner. The full Wellington squad can be found by clicking here. Congratulations to Clare Hendra, Kennie Critchlow and Adam Turner who have been selected in the Wellington squad for the Hexagonal at Manawatu on the 16th and 17th of February. 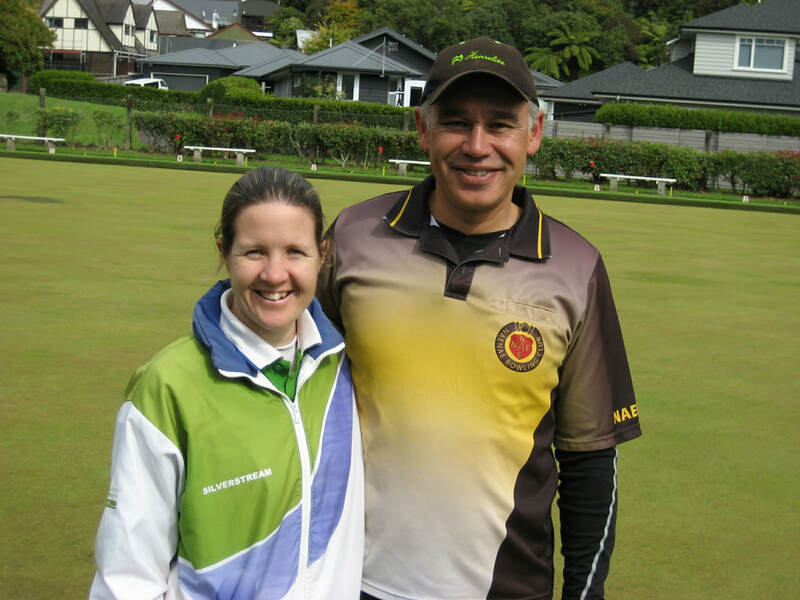 Congratulation also to Andy Gray and Sharon Ritchie who have been selected in the Wellington Academy squad for the Hexagonal at Whanganui on the same date. The full squad for the Manawatu Hexagonal and the Academy Hexagonal at Whanganui can be found by clicking here. In the Men's Open Singles Adam Turner reached the semi finals where he was beaten by Robbie Bird 21 points to 13. See the Teams for the double round of Interclub Round to be played Saturday 26th January by clicking here. Congratulations to Clare Hendra, Kennie Critchlow and Adam Turner who have been selected in the Wellington squad for the Tararua Quadrangular to be played on Sunday 27th of January. The woman play at Naenae and the men at Silverstream. Clare is in the fours, Kennie in the pairs and Adam is playing singles. The full squad can be found by clicking here. See the Teams for Interclub Round 9 to be played Saturday 12th January by clicking here. See the Teams for Interclub Round 8 to be played Saturday 15th December by clicking here. See the Teams for Interclub Round 7 to be played Saturday 1st December by clicking here. See the Teams for Interclub Round 6 to be played Saturday 24th November by clicking here. See the Teams for Interclub Round 5 to be played ​Saturday 17th November by clicking here. See the Teams for Interclub Round 4 to be played ​Saturday 10th November by clicking here. See the Teams for Bowls3Five Rd 2 to be played Monday evening 29th October by clicking here. See the Teams for Interclub Round 3 to be played Saturday 27th October by clicking here. 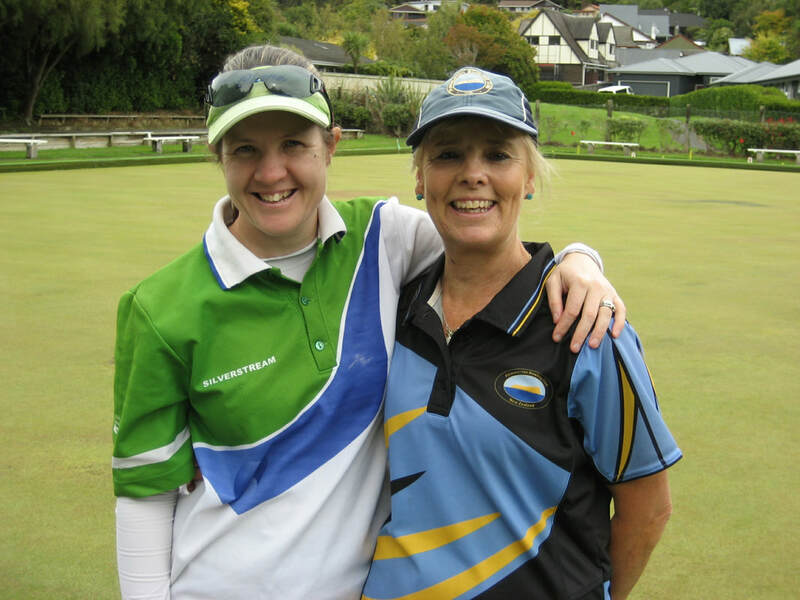 Congratulations to Christine Hewitt and Andrea Gray who have been selected in the Wellington squad for the Women's WKWM 1-5 Year to be played at the Masterton Bowling Club on Friday November the 2nd. Christine is in the triples and Andy is the traveling reserve. The full squad can be found on the Bowls Wellington website. See the Teams for Bowls3Five Rd 1 to be played Monday evening 15th October by clicking here. See the Teams for Interclub Round 2 to be played Saturday 13th October by clicking here. 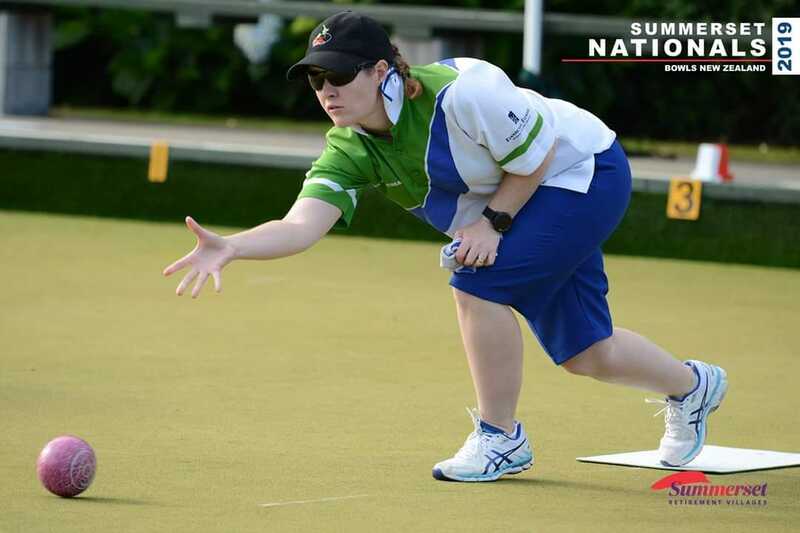 The Silverstream team of Abbey Dugdale (s), Christine Hewitt, Andrea Gray and Sharon Ritchie competed in the inaugural Naenae Women's Classic held from September the 29th to the 30th of September. They finished 12th in a field of 32 teams from around New Zealand. The team battled windy conditions and had 4 wins, 3 losses and 1 draw. A highlight for the team was a singles win against Kimberley Hemingway. Notable names to finish below the Silverstream team include Blackjack Tayla Bruce, NZ Development Representative Nicole Toomey, Female Development Player of the Year Leanne Poulson and well known bowler Judy Howat. See the Teams for Interclub Round 1 to be played Saturday 6th October by clicking here.